Essential oils have become something of a trend in today’s home management articles, magazines, and blogs. Everyone has heard of them, and each one knows that each aroma is said to have distinct properties that help to change the mood and indoor air quality of your home. In some cases, people even suggest that you use oil diffusers in your baby’s room to help them avoid getting sick or having other issues. Worried parents though will unlikely want to do something like this without knowing more. After all, are essential oil diffusers safe for babies? What Are the Risks of Using Essential Oil Diffusers? You might be wondering why some people are worried about essential oil diffusers, and the simple fact is that anything in the air could be dangerous to a baby. Babies have very sensitive airways, and their bodies are still learning how to cope with the world. For that reason (and for a few others! ), essential oil diffusers must be used with care around babies. Could be tipped over by pets, another child, etc. These are the main concerns that people have when they are considering using an essential oil diffuser around their baby, but there are some ways that you can do this safely without having to fear for your baby’s wellbeing. It’s not recommended that you try to use any sort of essential oil diffuser around babies who are less than three months old. At this point in their life, they are simply too fragile for this type of exposure, and the potential negatives outweigh any benefits that they might get from the diffusing. Likewise, do not use any type of essential oil diffuser in the area where your baby stays, sleeps, or plays until they are at least three months old. However, you can use a diffuser without any oil in it to humidify the air if you do not currently own a standard humidifier. Having less dry air can be good for your baby’s nose and airways. How to Properly Use Essential Oil Diffusers Around Babies over Three Months Old? Once your baby is over three months old, you can begin to use your essential oil diffuser again, but you will still want to take special considerations to make sure that you aren’t bringing anything potentially risky into your baby’s life. These rules should really be followed for all essential oil diffuser usage, but they are especially important when you have a baby in the house. The most important thing is always to make sure that you are using pure and authentic essential oils. A vast number of essential oils is available out there, and not all of them are okay to use in a diffuser. According to experts, you should avoid any essential oils that include alcohol and synthetic fragrances. The only essential oils that should be put into your diffuser are those that are unadulterated and water soluble. Other essential oils can be irritating or cause health problems that you won’t be expecting, so you must be careful when buying one. When you first use essential oil diffusers around your baby, you will want to be sure that you do a test period, and during which, you should pay extra close attention to your baby to be sure that no unintentional irritation is occurring. When you first turn on the diffuser, make sure that you are using the proper dilution as well. Keep the essential oil amount weaker at first. During the first hour of diffusion, keep an eye out for any signs of irritation. It may be tempting to attempt to soothe your baby by filling their diffuser up with subtle lavender and letting it run all day long just like you do for yourself, this isn’t a great idea for your baby. While diffusing oil around your baby isn’t exactly dangerous, you want to do so in limited amounts. 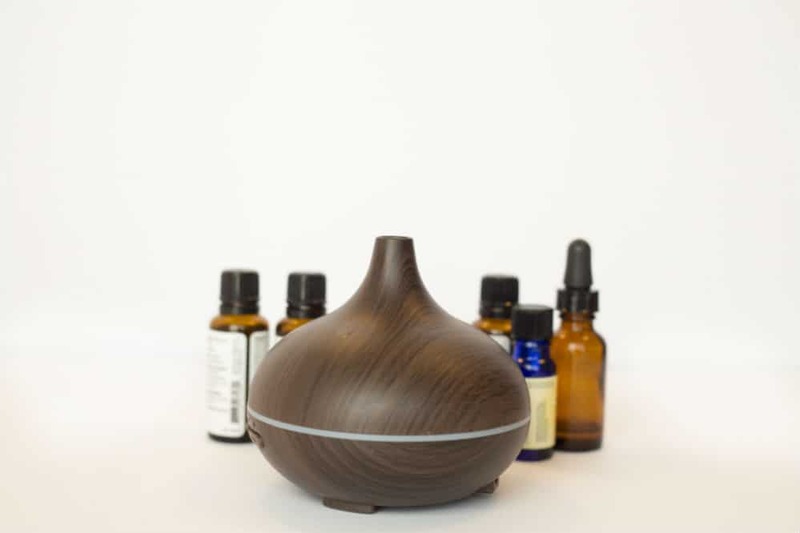 Avoid running the diffuser for more than one hour at a time, as this will be more than enough to get some of the claimed therapeutic effects of the oils into action. Since there are many conflicting opinions about whether or not essential oils can safely be used on a baby’s skin when mixed with carrier oil, a lot of research has been done about the effects that various essential oils can have on babies. While you would not be applying the oils directly to your baby when using a diffuser, the information that people have found about the effects of various oils on babies can be helpful to you as well. It is important to note though that, as always, we cannot give you specific medical advice. So, whether or not are essential oil diffusers safe for babies, it’s best if you talk to your pediatrician. Every baby’s situation is different, and they’ll have the most well-rounded information about what is and what is not safe for your child. Are essential oil diffusers safe for babies? Generally, they are as long as you are using them correctly! Now that you know more about how to diffuse safely around your baby, we hope that you’ll find a way to keep your home smelling great without putting your baby at risk. It’s easy to do, and you’ll be able to diffuse to your heart’s content again as they grow up!